I mean, how good is that lineup?! What’s going to happen at this panel is super-secret, but I can reveal one thing about it: I’m going to be writing something completely new for it. In fact, all the authors on this list will be writing and sharing new pieces. If that doesn’t make you come out, I don’t know what will! Hope to see you there or at one of the other stellar events next week. You can find the full schedule here. 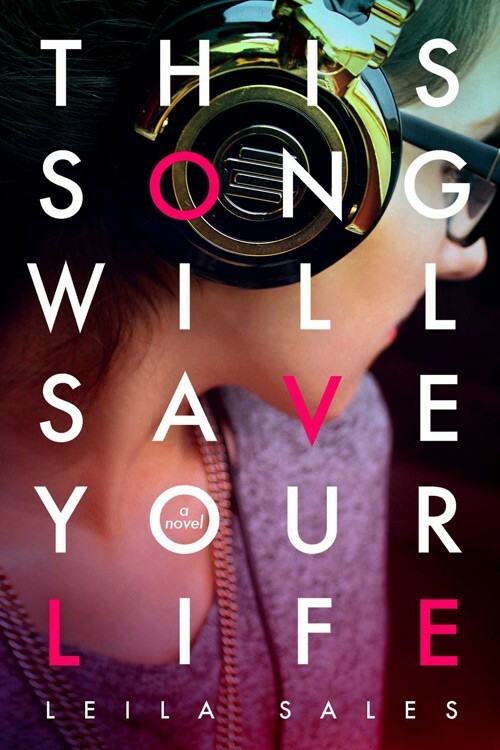 Yesterday MTV.com’s Hollywood Crush blog exclusively revealed the cover for my third novel, This Song Will Save Your Life! I love this cover and am so excited to share it with you here. For the cover reveal, I created an indie rock and britpop Spotify playlist to soundtrack the book. You can listen to it here. You think it’s so easy to change yourself. You think it’s so easy but it’s not. Elise Dembowski is not afraid of a little hard work. In fact, she embraces it. All her life, she’s taken on big, all-encompassing projects. When she was eight years old, she built her own dollhouse. When she was thirteen, she taught herself stop-motion animation. And when she’s fifteen, she embarks on the biggest, and most important, project of them all: becoming cool. Except she fails. Miserably. And everything falls to pieces. Now, if possible, Elise’s social life is even worse than it was before. Until she stumbles into an underground dance club, and opens the door to a world she never knew existed. An inside-out world where, seemingly overnight, a previously uncool high school sophomore can become the hottest new DJ sensation. Elise finally has what she always wanted: acceptance, friendship, maybe even love. Until the real world threatens to steal it all away. In a refreshingly genuine and laugh-out-loud funny voice, Leila Sales delivers an exuberant novel about identity, relationships, and the power of music to bring people together. This Song Will Save Your Life comes out September 17. I can’t wait for you to read it!